Our father, Tom, began his business over 60 years ago. His goal with Tom Samples Pest Control was to revolutionize the pest control industry by making use of the latest, most effective pest control techniques while also cultivating long-standing relationships with customers. It wasn’t long before customers recognized both his skill in his work and his dedication to providing the very best service. The business quickly grew and flourished. Getting rid of pests is imperative to maintaining not only the health safety in your home but also your own peace of mind. At Tom Samples Pest Control, our Springtown pest control team makes use of our Integrated Pest Management program to keep your home or business free of infestations. Our goal is to always have a positive relationship with our customers and have each customer feel like they are a part of the family and not just a number. With this highly effective system that makes use of all the most cutting-edge techniques used in precise combination, we can get your space pest-free in a flash. Customer satisfaction is our No. 1 priority. We give quick responses, and we do comprehensive work. Pet and child safe treatments. Emergency services available upon request. Over 60 years providing pest control services. We can take care of any infestation issue, including bed bugs, spiders, scorpions, rodents, bees, wasps, cockroaches, ants, and other general pests. We can also assist you with any wildlife removal needs that you have. 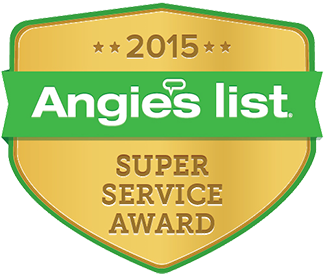 Get a free estimate for a pest control job in Springtown, Midlothian, Azle, Lake Worth, Haslet, and Ft. Worth. Call (817) 915-2470 now to speak to our team!